With most of the technical capabilities having stayed the same, we invite you to check out the in-depth review of the Mares Puck Pro to get detailed information on both diving computers. Click here now to find the lowest price for the Mares Puck Pro Plus on Amazon! 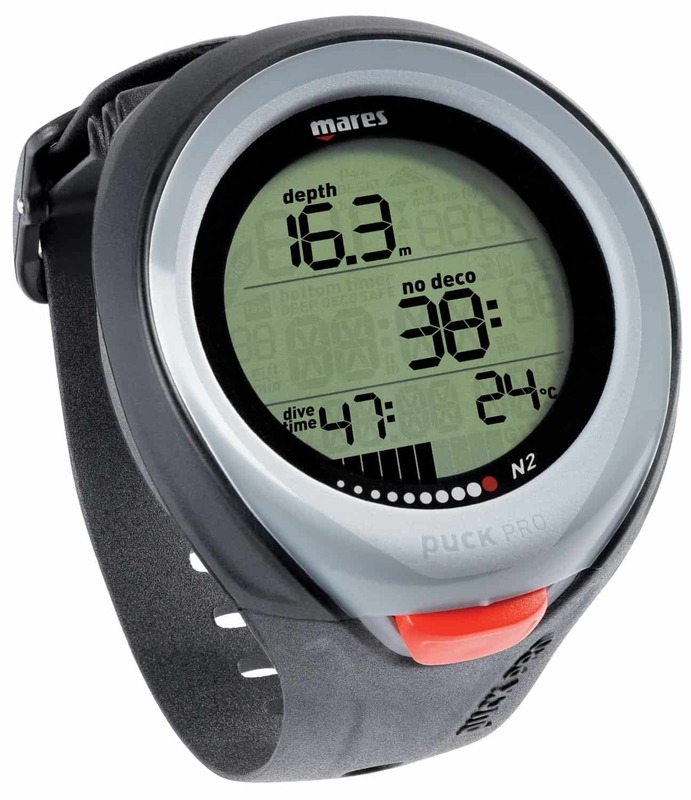 Mares introduced the Puck Pro Plus at the end of June. It slowly made its way into the online stores and can be ordered through Amazon and other online retailers by now. 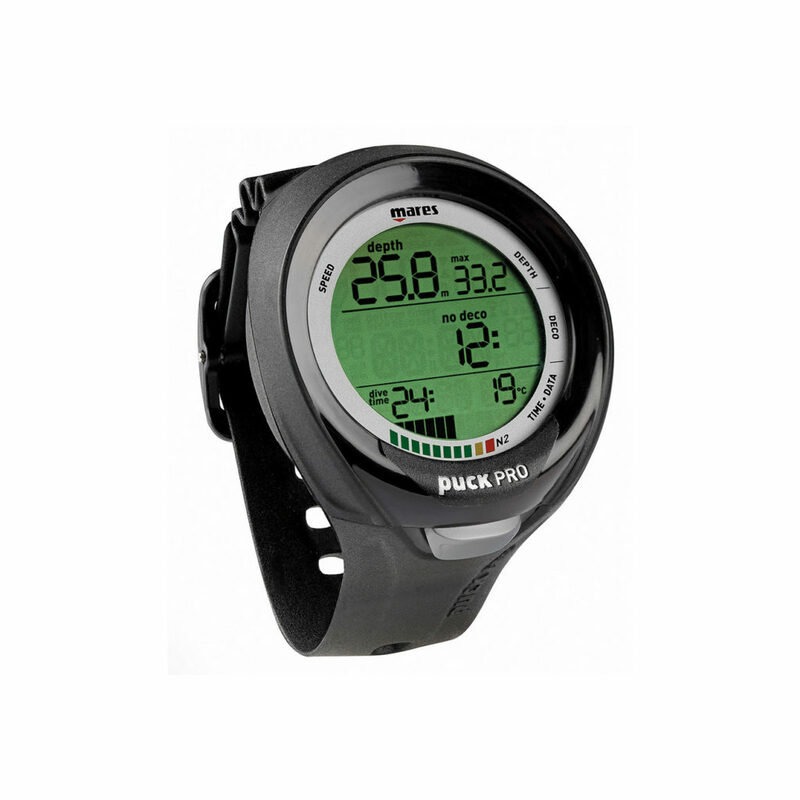 Many divers asked what the differences between the Puck Pro and the Puck Pro Plus are. There are not enough (or many at all) that would make you dump your Puck Pro for the Plus model. The first difference that is obvious is the slightly redesigned device itself. The bezel looks a little different. The bars for the N2 meter look different and the display segments have a clear labeling on the frame around the glass. Other than that, most of the colors are gone (for now) and you can get the Plus in black or black and white. Navigation on the Puck Pro Plus and the Pro are handled through an intuitive single button. There’s no difference in the handling of both models besides the color change on the button itself. Both scuba diving computers are ready to have their firmware/software updated whenever Mares provides such an update. The few optical changes mentioned above would not have justified Mares to change the naming and to introduce the Pro Plus as an evolution of the Pro. Let’s dive a little deeper to see what else has changed. The technical specifications stayed the same. And that is a good thing. The Puck Pro offered the features you would want from an entry-level dive computer. The same is certainly to be said for the Puck Pro +. The major news for the Pro Plus are that it can manage to connect to your smart phone or computer through a Bluetooth clip connector. There’s no more cables needed to download dive data to your phone, tablet or computer. The Plus has seen more upgrades with regards to the connectivity and adaptability. The firmware can easily be updated, data exchange even with your smart phone is easy and straightforward. Even the maintenance aspect has seen a positive change. The battery can easily be changed by you which saves a ton of money and time compared to having to send it in to an authorized dealer or service center. The Mares Puck Pro Plus offers a sectioned, super-clear display. It’s segmented into three lines to display all require information on the oversized watch. It is capable to dealing with different gas mixes that you can switch between as needed. The Plus model can handle the switching of gas mixes during a dive with oxygen levels up to 99%. The Mares Puck Pro Plus in the beginning was not that easy to be found. Many online retailers specifically mentioned that it could not be shipped outside the EU. If you’re in the US then your best bet on price and availability is Amazon. 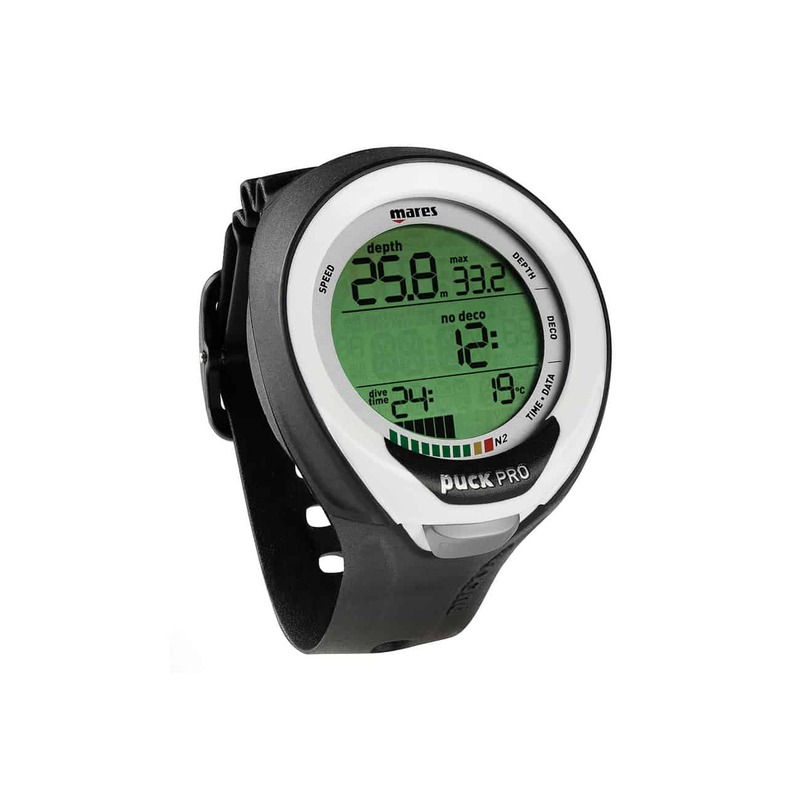 Click the button below to find the lowest price for the Mares Puck Pro Plus! Mares will most likely slowly fade out the Puck Pro and replace it with the Puck Pro +. It’s nice to see this dive computer make its way into the modern era of ultimate connectivity. Being able to transfer your dive data wirelessly to your smart phone is a big deal if you are on a dive vacation. There’s no need any longer to drag your computer along so that you can download the dive log before it gets overwritten. You can do that now through the Bluetooth interface and send the data to your phone. That alone in our opinion justifies buying the Plus model. However, if you have the Pro now then there’s no reason to list it on eBay as long as you can live without the Bluetooth connectivity. If you purchase a new scuba computer and have your eye on the Puck Pro then go for the Puck Pro Plus instead if you can. The updated design makes the diving computer overall look a little more grown up. The lack of colors will most likely be remedies by Mares over time but should also not be a reason why not to go for the Puck Pro Plus!